We’re not going to try and pretend this weather doesn’t get on our nerves from time to time. However, instead of complaining about temperatures well into the negatives, we’re going to talk about one of the many great activities you can participate in during these frigid winter months: dog mushing. Fondly called dog sledding by many, this is an adventure that’ll make the coldest days/nights enjoyable! How can you resist meeting some of the cutest and friendliest Alaskan Huskies around? We think our pups are pretty adorable, but more than that, they are great with people of all ages. Whether you’re an Alaskan native or visiting from out of town, you don’t want to miss out on the opportunity to meet and play with these (not so) little guys. Alaska is a beyond beautiful landscape, but you know that, don’t you? Instead of experiencing it like everyone else, why not experience the incredible sights on the heels of out huskies? You’ll get a different point of view of the wilderness by being immersed in it. With a couple options to choose from, you can either spend the day with us, or take a tour during the night and witness Aurora Borealis (the Northern Lights). While we think both are great winter activities, there’s nothing like sledding beneath the bright sky. Click here to reserve your spot for one of our dog mushing/dog sledding tours. 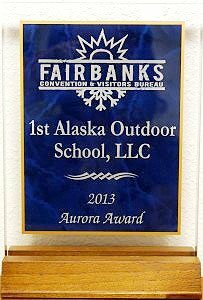 For more information, feel free to contact us at (907) 590-5900 or send an email to info@1stalaskatours.com. What Exactly is Dog Mushing?